Floor layout now creates additional tabs for user-defined attributes in the Floor layout dialog box if there are a lot of user-defined attributes. Earlier, if there were a lot of user-defined attributes, the row spacing on the User defined tab was compressed to fit all the attributes on one tab. tab in the Wall layout dialog box, an additional UDA(2) tab is now again created. layout, with some layer components, the attribute setting was not updated when modifying, and the available attribute settings disappeared from the list of attribute settings. This has now been fixed. Previously, Floor layout updating was not working properly if the layout had a break line and the layout direction was from right to left. This has now been fixed. now works correctly so that the correct bar is moved when dragged. In Hollow core lifting loops, the core filling was not created in the middle core if the number of cores was uneven, 5 or 7, for example. This has now been fixed. In Floor layout, the default/actual offsets of other layers than the primary layer now work properly also when other layers consist of multiple parts, and the offset is smaller than the offset of the primary layer. Note that if you are modifying an existing Floor layout created with a previous Tekla Structures version, the layout may change if the offset values were not properly used earlier. In Floor layout, an extra part was previously created at an opening. This has now been fixed. In Round column reinforcement (82), you can now select on the Advanced (main bars) tab whether to cut the created rebars by the cut in the father part or not. to wall connection and Wall groove seam detail, the connector and recess spacing now work properly when other than millimeter units are used. are now correctly fitted regardless their selection order. creation in the welds dialog box. end cut on the Plates tab. tube column (189), the plate chamfer size now correctly follows the value defined in the component dialog box. size is now correctly applied. DWG export file name does not have revision info added if the revision info is not present in the format string. Point clouds can be placed by the model origin or by a defined base point. was picked for dimension or object creation and zooming was done at the same time. This has now been fixed. no longer logs out when it is closed. side pane in certain moment caused reference model side pane freezing. This has now been fixed. that used to be visible in inquire in previous versions are visible again, but categorized a bit differently. plane at both ends are shorter than in the model. The error does not occur when line cuts are used instead or only one fitting is used. This has now been fixed. error. This no longer happens. import, handling of objects with a lot of openings was really slow, which appeared like Tekla Structures was not responding. This has now been fixed. .db1 models can now be used as reference models again. object conversion, WallStandardCase is again converted as panel. End joins are ignored and therefore the geometry is not always according to the original geometry. object conversion profile mapping. They are removed in internal mapping. For example, UB 356x171x45 finds UB 356x171x45, not UKB356x171x45, like previously. density issue with scaled point clouds has been fixed. The user-defined attributes added in Tekla Structural Designer are now imported to Tekla Structures with the same name, without the "TSD_" prefix, and they are truncated to 19 characters. pictures in reports were sometimes incorrectly drawn after opening drawing, but correct after refreshing the report. This has now been fixed. Previously ASSEMBLY_BOTTOM_LEVEL_BASEPOINT, ASSEMBLY_BOTTOM_LEVEL_PROJECT, ASSEMBLY_TOP_LEVEL_BASEPOINT, ASSEMBLY_TOP_LEVEL_PROJECT were showing wrong values. Now correct values are shown. Previously, part attributes starting with ASSEMLBY_TOP_LEVEL and ASSEMLBY_BOTTOM_LEVEL were not returning correct values. This has now been fixed, and the attributes are returning the values provided by the counterparts in ASSEMBLY. attributes. When a point was removed from a dimension set, pin icons on the remaining dimension points could incorrectly show that the points are no longer associative by changing to question marks, while the points still were associative. This has now been fixed. Non-solid items are now shown correctly in drawings also when they are clipped with the view restriction box. Slanted symbols are now correctly printed and exported. was clearing the currently selected documents which caused buttons like Print, Export etc., to become hidden. Now the currently selected documents are remembered and the selection is maintained. The Arrange marks and Align marks commands did not use correct information in Undo history. This has now been fixed. Some drawing commands did not use correct info in Undo history. This has now been fixed. was clearing the currently selected documents which caused buttons such as Print, and Export to become hidden. Now the currently selected documents are remembered and the selection is maintained. marks of outline meshes sometimes rotated the marks 90 degrees. This has now been fixed. 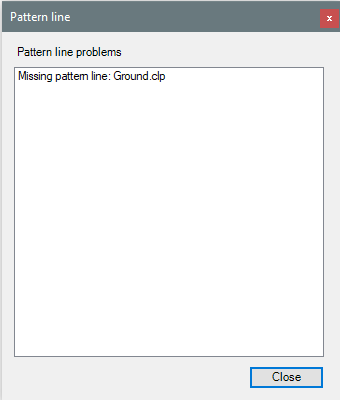 Tekla Structures crashed when you changed the ruler width of a text with handle. This has now been fixed. In some cases, an assert was caused by a missing symbol library. This has been fixed, and an error message is displayed instead. Cloning aims at using the drawing properties, view properties, and object properties from the cloning template in a new drawing. Drawings can be cloned from the current model or another model. Cloned drawings need some manual checking. even if no drawing is selected. Previously the button was hidden. Category search field tooltip for new category no longer starts with several blank lines. , the drawing export command did not work when the advanced option XS_USE_OLD_DRAWING_EXPORT was set to TRUE. This has now been fixed. was adding an unwanted tag mark to the dimension. This has now been fixed. Views in assembly drawings that contain included single-part views are no longer overlapping after the Arrange views command. was drawn incorrectly between the dimension points. This has now been fixed. had views which were aligned in X or Y axis at the center of gravity point, the resulting cloned drawing will now try to align matching views based on the center of gravity. dimensioning: The order of mark content elements is now correct in all use cases. The fix also applies to extra marks. Pattern line editor can be used in a model or in an open drawing. The created pattern lines are added to drawings with the pattern line command. saves the default color correctly in the created .clp file, so the pattern linedrawing shape that consists of one or several blocks of elements and that may include symbols, lines, and spacings. dimensioning: The extra marks are now positioned correctly. dimensioning: Now you can define the space between Mark1 and Mark2 using the new setting Space between Mark1 and Mark2 on the Advanced settings tab. On the same tab, Next mark spacing was moved under the new area Grouping and renamed to Group mark spacing. Rebar group tolerance was also moved to the Grouping area and renamed to Grouping tolerance. Added new string function, called replace, for rules and valuefield formulas. This function replaces all specified substrings with another string. , profiles with a .clb file as a subtype were not previously shared correctly. This has now been fixed. situations, with warning messages about an unknown user. This has now been fixed. , the plotdev.bin file is now shared. Previously, Rebar shape placing tool did not create the distances correctly when other than millimeter units were used. This has now been fixed. (and reports, if used). This has now been fixed. Previously, when the Ortho tool was active, the snapping distances were incorrectly rounded. This has now been fixed. Previously, if you left Tekla Structures idle for a while, in some cases Tekla Structures could freeze or crash. This has now been improved. Previously, selecting two bolts and right-clicking caused Tekla Structures to crash. This happened when the first part you had selected was a cast-in-place part. This has now been fixed. Previously, splitting and combining parts was not working for all parts. This has now been fixed. When you set XS_AISC_WELD_MARK to FALSE, you can now control how the fillet weld size is interpreted using the new XS_ISO_LEG_LENGTH_AS_WELDSIZE advanced option. Note that setting a weld prefix that affects the weld size overrides the value set in XS_ISO_LEG_LENGTH_AS_WELDSIZE. When saving the model with Save as, the model name is now restricted to 40 characters, like when creating a new model. The last 10 model paths are not shown in the Save as dialog box. property files that only contain the bolt but no other parts in the assembly. Note that if you select or clear the Bolt check box in the bolt assembly properties, the check boxes for Washers and first Nut properties are also selected or cleared, as in the old bolt properties dialog box. settings. Previously, the color of the objects did not change when modifying the phase. When starting Tekla Structures for the first time, and the license server has not been defined, the waiting time has been significantly reduced from around 3 minutes down to about 30 seconds. You can now uninstall several .tsep packages at one go in Extension manager. Previously, you could uninstall one .tsep package at a time. and another user saved the model, this new analysis model was not visible for either user in the Analysis & Design Model dialog box. This has now been fixed. , and an autosaved model was created after read in and the model then reopened without saving, the analysis model could sometimes be lost. This has now been fixed. Tekla Structures creates nodes at ends and intersection points of analysis parts, and the corners of analysis areas. positions were not created in the correct plane. This has now been fixed. The Dimensioning Rule Properties dialog box had many texts that were not translated but showed the string ID albl_... This has now been fixed. The execution time of custom components that use property files has been optimized. Custom components containing system components were not correctly created when creating several custom components within one command sequence. This has now been fixed. In Kingspan Cold rolled sleeved (28), the UK firewall option now correctly positions the bolts and slotted holes on both rails/purlins on a double sided connection. In CMF Horizontal cladding support - column (33), you can now use the Gauge setting on the Parameters tab to change the gauge of the COJR strut created by this component.
. The formula value was not correctly evaluated and thus the rule result was never true and the OK button was not enabled. This has now been fixed. Tekla Structures no longer crashes when renumbering objects. could be empty. Also, if you changed the unit setting to use ft (decimal) while the property pane was open, Tekla Structures sometimes crashed. Now the property pane properly shows the properties of the bolts. Studs and other bolt elements are listed in the bolt catalog. A stud can be secured with two or more nuts and have threading at both ends, or it can be welded to steel parts, for example. A stud is part of the bolt assembly. in the US imperial environment. Numbering series is defined by a prefix and a start number. The user can, for example, allocate separate numbering series to different phases or part types. is now shown as dimmed if it is changed in the cast unit level. Several fixes have been made to DirectX graphics including improved performance for the shaded wireframe (Ctrl/Shift+2) view mode. now works properly when you float the property pane and restart Tekla Structures. Property files are saved in the current model folder. The user can copy property files to the project or firm folders for future use. User-defined attributes can be stored as a property file. did not work. This has now been fixed. , the check marks of the properties that you are copying now stay selected. NC: Sometimes, the pop-marks for middle line were not created. This has now been fixed. shell was created from more than one part and Cut outer assemblies option was turned on, the embeds were missing from the export. This has now been fixed. BVBS Export: When multiple segments of rebar are in 0-degree bendings then is exported as the continuous straight section. thickness including braced girders, and the 2nd shell reports complete cast unit thickness regardless of the chosen dialog box option. This is to ensure that the production thickness values comply with the curing chamber slot maximum height. Export Unitechnik (79): Electric tubes are now always exported with Z position as Z=0. Export Unitechnik (79): Rebar groups that have been collected to meshes are now correctly unfolded. Export Unitechnik (79): The setting Bent reinf. as unfolded on the Reinforcement tab now has a new option Only meshes. Using this option you can export bent meshes as unfolded, while other bent reinforcement is exported as bent. Model database file has the extension .db1. In addition, other files, such as the corresponding numbering database .db2, are needed in order to obtain the functionality of the model database.